Welcome! 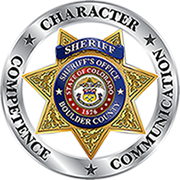 We are a volunteer driven program in the Boulder County Sheriff’s Office that offers restorative justice in the wake of crime. Our aim is to provide a restorative process by which victims are heard and understood, offenders take responsibility for harm, and where loved ones and community members offer support. This site describes who we are, what we do, and how to become involved. Because we couldn’t have said it better, content is presented with many thanks to C4RJ.